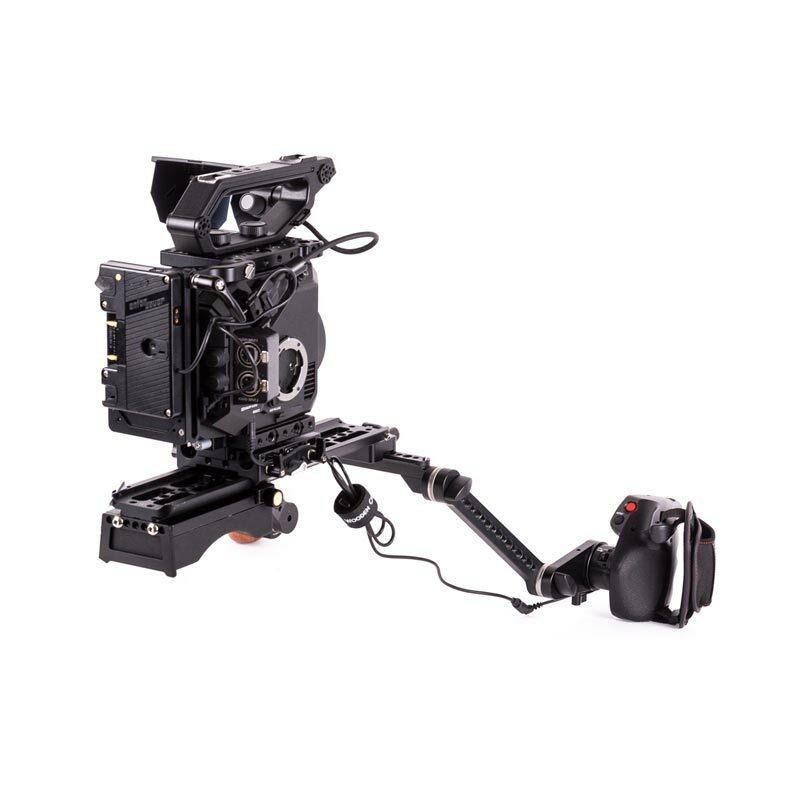 The Handgrip Relocator for the Panasonic EVA1 allows for the original Panasonic control handle to be attached to an ARRI Rosette. 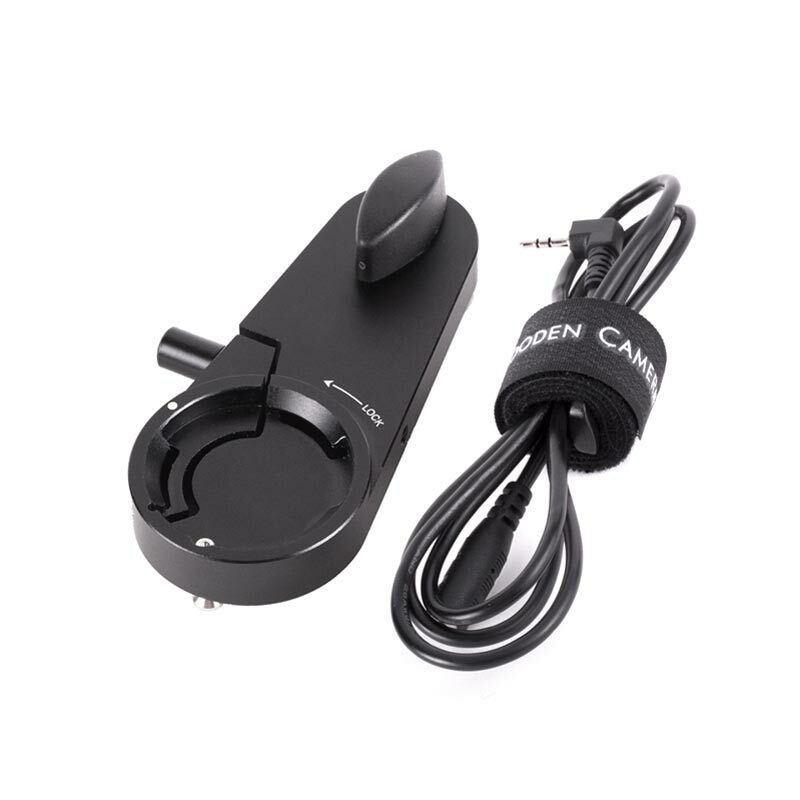 The kit also includes a LANC extension cable plus cable wrap. 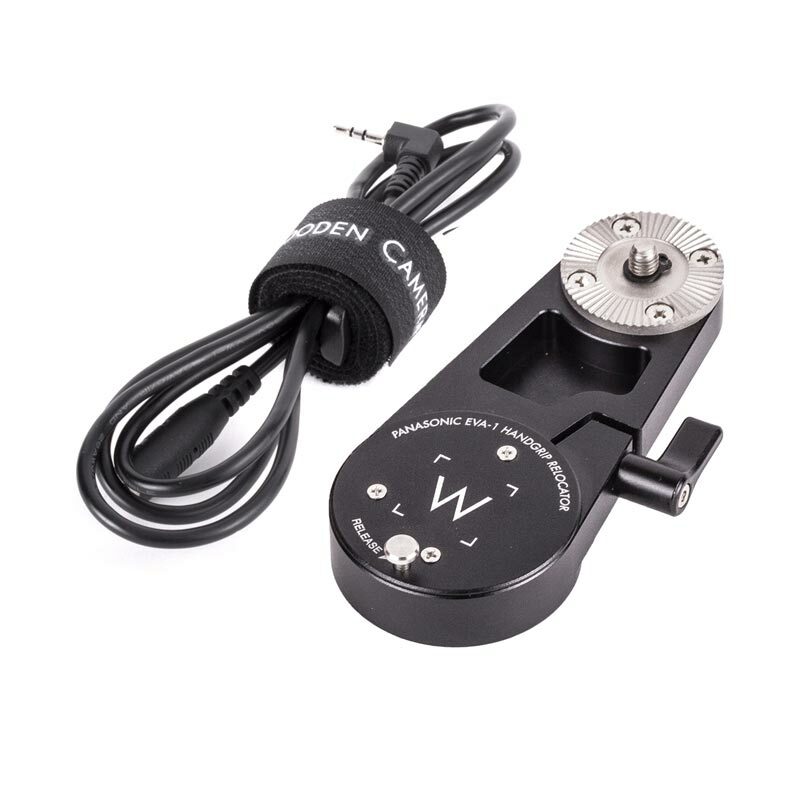 This product works great with the Rosette Bracket, 15mm Rod Clamp To ARRI Rosette, or 19mm Rod Clamp To ARRI Rosette. 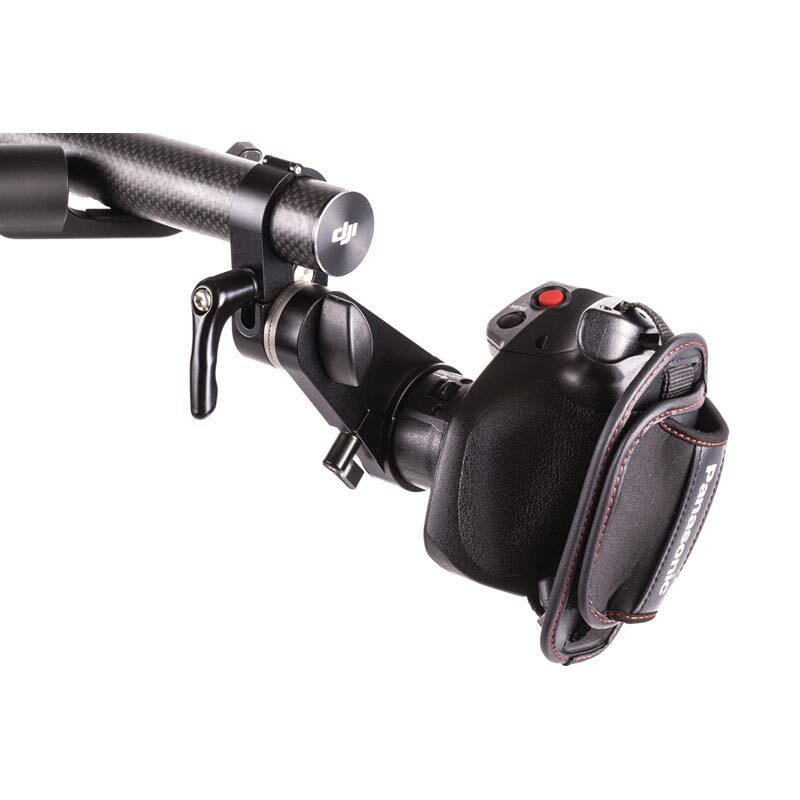 For attaching to gimbal handlebars, you can use the Gimbal ARRI Rosette V2(25mm, 1 Inch) for MOVI and Ronin M, and the Gimbal ARRI Rosette V2 (30mm) for the original Ronin and the Movi Pro ring. 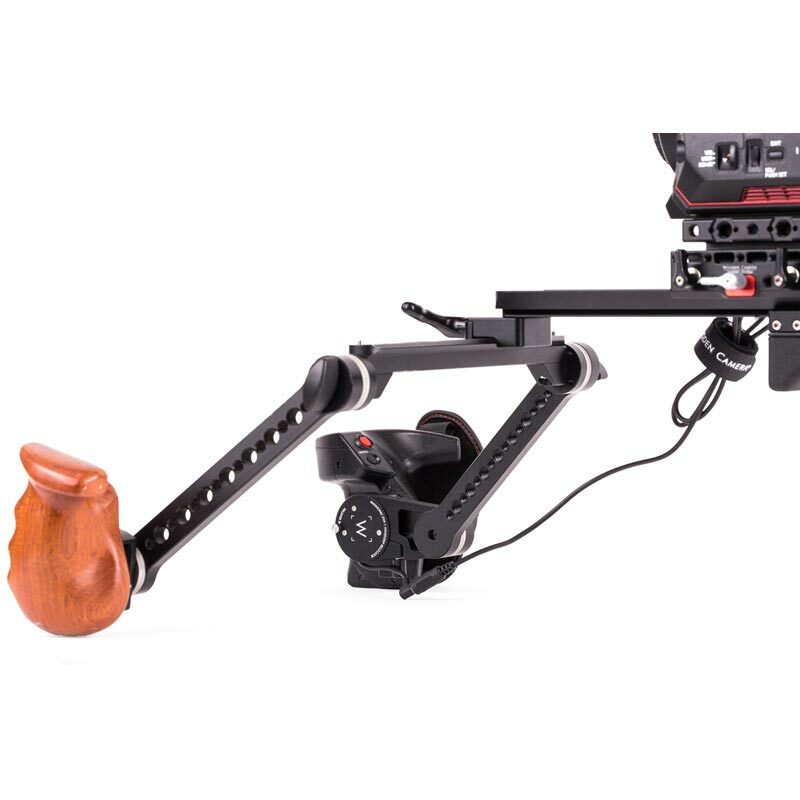 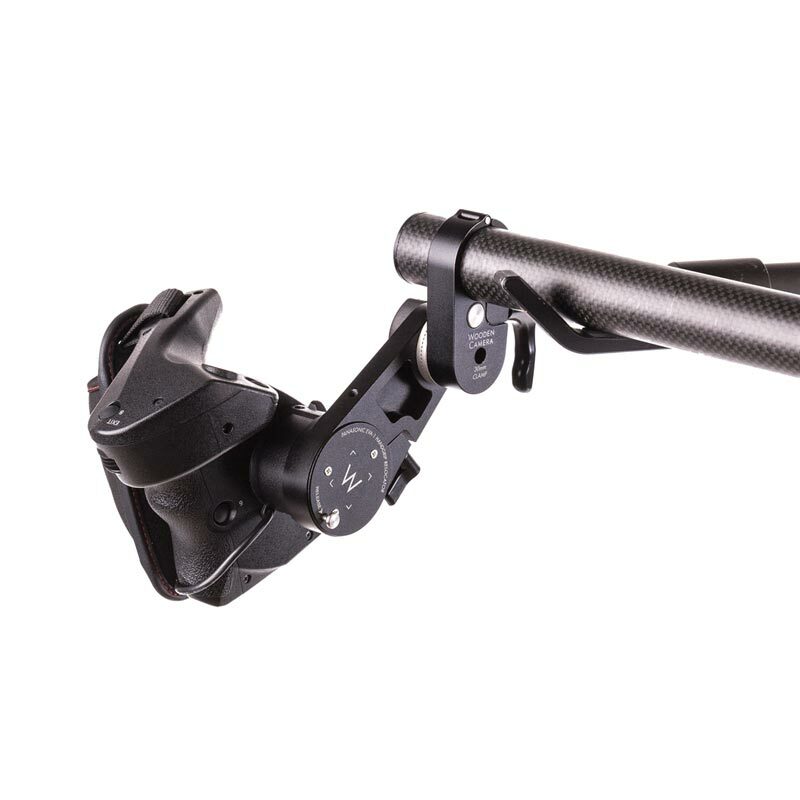 Incorporate the EVA1 Handgrip Relocator into the Shoulder Rig V2 for comfortable handheld shooting!